The historic 25 inch map calls this place Cashelmore or Cashelmore Fort Cashelmore is the 1465th highest place in Ireland. 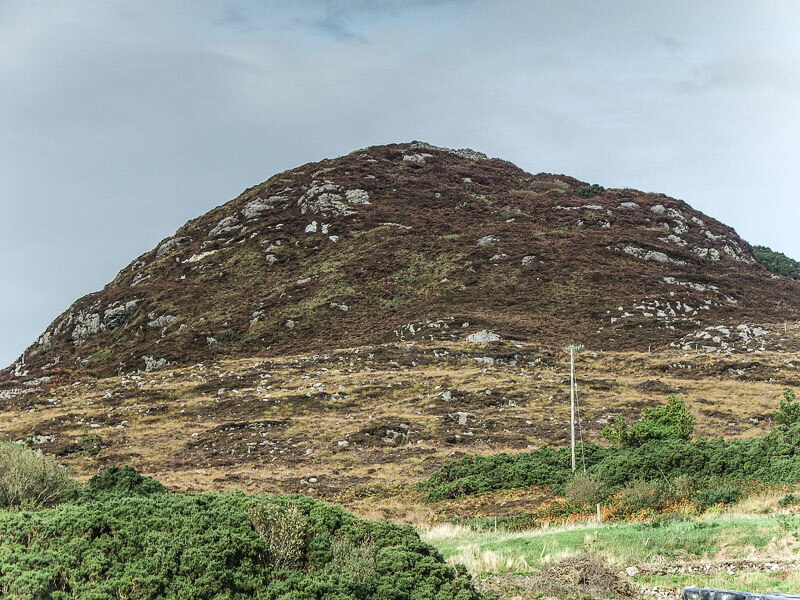 Picture from group : The rough hump that is Cashelmore Fort from the south. Picture: The rough hump that is Cashelmore Fort from the south. Huge views from a rough heathery top with ringfort. An obvious place to start is at the beginning of a short track C17206 40627 A. This rough but initially cyclable track leads you to rough ground from which is it reasonably easy to reach the top. Note, the top has a recorded ringfort on it. There are a number of animal tracks leading to the top.